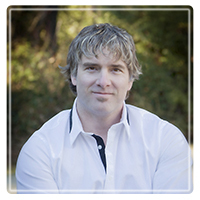 Kelowna Therapist: Alain Langlais - Therapist V1W 5B4. Send A Message To Alain. I am aware of how challenging it can be to juggle the complexity of life. Sadly, along the way many people find they lose sight of their happiness and balance, and feel unable to find their way out no matter how hard they try. Throughout life many experiences, beliefs, and conditionings influence our life’s direction, and create limited beliefs systems such as lack of self-trust and lack of confidence. These limited beliefs can highly inhibit a person’s ability, negatively impact our life, and even destroy our dreams, our visions and goals we once had for ourselves, and our purpose in life. Limited belief systems will soon become limited decisions which will prevent a person from seeing new opportunities, even discourage them from trying or taking a small risk and, often unconsciously result into self-sabotage, not really understanding why our life ends up in similar patterns with similar results. Just like reading a road map, in order to know how to get somewhere, we first need to know where we are and where to start. Unfortunately, many people don’t really know where to start and are left feeling “stuck”, and at times are unable to see the end to their struggles. As a counsellor and a hypnotherapist, I am privileged to have supported many clients struggling with different struggles such as, PTSD, anxiety, self-esteem, self-confidence, anger, and much, much more. My goal is to assist and support my each individuals in discovering underlying issues or beliefs that can block or restrict their happiness. These changes are created through self-discovery, implementing effective changes and strategies, and creating a custom fit solution to their barriers. I truly enjoy adapting to different personalities and offer fresh insight in an affirming, supportive and jargon-free way and at times, with a touch of humor when appropriate. Removing barriers that we feel are holding us back and creating changes to start on a different, healthier and happier path is sometimes necessary in order to create different results. These changes are created through self-discovery, implementing effective changes and strategies, and creating a custom fit solution to their barriers. In order to do so, I like to use multiple techniques such as, Analytical Therapy, Cognitive Behavioural Therapy (CBT), Solutions-Focused Therapy (SFBT), hypnotherapy, and more, to identify and resolve emotional and behavioral issues. I develop an individualized therapeutic approach to each individual, that I provide counselling services to in order to create the best result in the shortest time possible.